I have been a full time photographer since 2011. I have been lucky to be my own boss, traveling Florida and beyond, taking exactly the types of photos I want. I am even more fortunate to have those images support me as fine art prints that people graciously put in their homes. 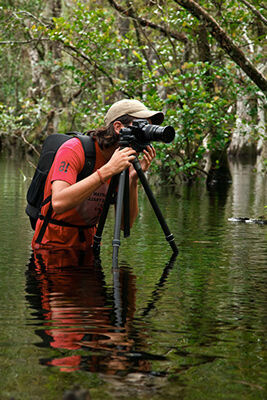 If you have any questions about the prints or the Florida ecosystems, feel free to contact me! Below is a brief biography, should you require text for publication. Paul Marcellini was born and raised 20 miles from Everglades National Park. Always attracted to the outdoors, it was natural to begin photographing them when he picked up a camera in 2005. Since then, he has gone on to win awards in multiple international competitions and have his imagery shown in Everglades National Park, Biscayne National Park, Miami International Airport, and several museums in South Florida. In 2016 he was chosen to have his Everglades image used for a USPS stamp celebrating 100 years of US National Parks. A self-taught naturalist, he is constantly out to educate the public and create awareness for the vital ecosystems of South Florida.